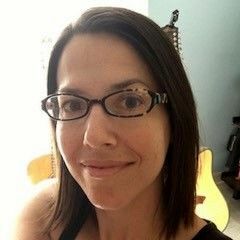 Stacey Ludwig is an ESOL (English as a Second Language) teacher for adults, and she teaches online Spanish for middle school and high school in her county. She is from Louisiana but moved to Florida 5 years ago. Stacey has been learning Spanish for the past 18 years. She decided to learn German because her husband is from Germany. They have traveled to Germany many times, and she loves the country and people but would have to sit for hours with her husband and his friends not understanding hardly anything they were saying. Mostly everyone would not speak English. She decided to learn German so the next time they traveled to Germany, she would be able to understand and hopefully participate in the conversations. Stacey, you are a language teacher yourself. 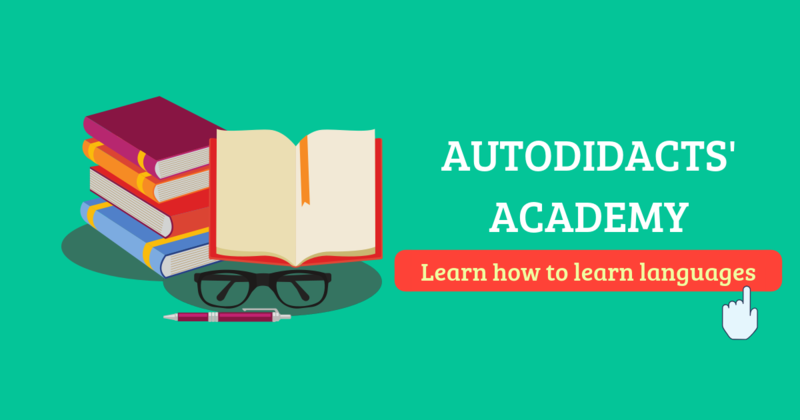 Why did you enroll for the Autodidacts’ Academy? I have always gone to classes. I had French classes from elementary school to college and Spanish classes in college. I thought that is the way to learn a language. In Florida, I don’t live in a big city so there were limited classes in German. I tried learning programs, but they begin to be repetitious and boring after a while. I didn’t use them regularly. One morning, I searched for how polyglots learn languages. There were many links from many people. I chose Lydia’s videos because she seemed so down to earth. Her explanations to language learning seemed so simple. I had expected something complicated. I bought the Language Master course, and she talked about the Academy. I decided to join because to me it had the makings of a class but without having to go to class. Is Lýdia’s approach to language learning and her methods different from your teaching style (or your experience with language learning)? Her approach from the very first video I watched was completely different to my teaching or learning style. I still had the mentality that a person had to go to a class to learn a language. The students came to class, did the homework, and that’s it. I was frustrated that some students had hardly any improvement in the language. After going through the Academies, I realized that my students are learning just how I learned by just taking the class and putting minimal hours into learning but expecting to learn quickly. No wonder I am still not fluent as I would like to be in Spanish! Now that I realize this, my teaching methods are changing, and I am trying to slowly change my students’ ways of thinking and expectations of learning a language. How did your language learning look like before the Academy? For my Spanish classes, I went to the classes twice a week at the university and a lab for an hour once a week. That was it. I was putting in minimal hours. I would travel to Mexico every summer for a month and would try to speak Spanish which was helpful since my friends I stayed with did not speak English so I was forced to speak. After college, I hardly studied Spanish. I did use it quite often with my ESOL students, and slowly, I improved to where I am today which isn’t great in my opinion. I just didn’t know any methods to improve at home. I would occasionally listen to radio broadcasts in Spanish, but it wasn’t a habit. 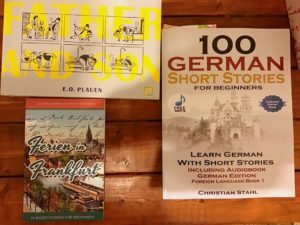 I decided to learn German after the first time I went to Germany with my husband. I tried Rosetta Stone but didn’t like the lack of explanations when a new grammar concept came up. I tried Fluenz which I do like, but would only do it occasionally since the structure for each lesson is the same so I got bored. I enrolled at the local college in a German 1 class, but it was packed with thirty 18-year-old freshmen, and the teacher did not know what to do. I enrolled in an online course at a university, but the class cost $1500! Finally, I started looking up polyglots and found Lydia. I also found videos on Jan van der Aa and Lucas Bighetti and signed up to receive tips from them. That is how I found out about iTalki. Then I took the first Academy and that’s when my language learning began to change. How has your learning changed during the Academy? For the Academy, I focused on three activities – Listening, Speaking, and Vocabulary. 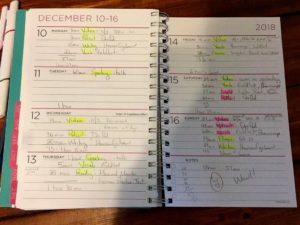 Slowly, I started developing habits like Lydia told us. When I wake up in the morning, I watch videos in German while I drink coffee. I watch „Extra auf Deutsch,“ „Super Easy German,“ and „Learn German with Anja.“ These videos are short so I don’t feel overwhelmed. I watch the same videos over a course of two days. The first day I watch them twice; once with no subtitles and again with subtitles. The second day, I do the same thing except I write down vocabulary the second time I watch with subtitles. I use this vocabulary for my Goldlist notebook. I also use the Brainscape website for flashcards. I started using LingQ for more vocabulary which practices reading at the same time. I have an alert at noon to do my Goldlist. For speaking, I use my husband and my iTalki tutor. My iTalki tutor gives me homework that practices writing. For example, she’ll give me a „Father and Son“ comic. Before I write anything, I use self-talk to develop the story. Then I write it. 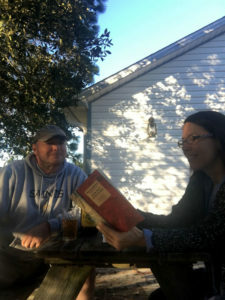 With my husband, we usually go to practice my speaking in our back yard. We have started reading „Max and Moritz“ by Wilhelm Busch. My husband read these stories as a child. Of course, it is too complicated for me to understand everything, but it is good practice for my pronunciation, and my husband translates for me. Why have you decided to take part in another Autodidacts’ Academy when you had already known how to learn on your own? I took part in the second Academy because I like the community and comraderie of the Facebook group. There, you can share your victories and struggles and of course, make friends along the way. You can talk with others about how they are learning and to get a boost of confidence from the other members when you are feeling frustrated or stuck. We help push each other to continue. I also like that Lydia and the Language Mentoring team collaborate with the Facebook group. It makes it feel like they care about you. The Facebook group feels like a family. I really enjoy this part of the Academy. Also, the Academy makes me accountable. In my mind, I associate it with going to a class where I have to turn in my homework, but I control what and how I learn which is very eye-opening and liberating. At the end of the Academy, I have to prove that I have improved. I see my own improvement, and it is fascinating and exhilarating. Have you changed your learning plan, priorities, methods or anything else in the second Academy? I started using the Goldlist method for the second Academy, and I can’t stress enough how much I love it! The first time I tried it, I wasn’t successful at all. I didn’t know enough vocabulary, and I didn’t have any idea of German sentence structure. I decided to try it again for the second Academy, and it works! It is unbelievable that my mind can retain most of the vocabulary after 2 weeks! I didn’t realize that I was learning vocabulary the wrong way before I learned about spaced repetition and word associations. How would you assess the Academy? What has it brought to you? The Academy has been a blessing! I have always loved languages, but thought that I was not good enough to learn languages. Not being as fluent as I should be in Spanish lowered my confidence. I am learning faster than I learned Spanish. Participating in the Academy has brought me confidence in myself. I DO have the ability to learn a language independently, and it isn’t hard at all. What was your level of German before the first Academy? Do you think you have improved during these 4 months? My German was extremely basic before the first Academy. I had limited vocabulary and grammar knowledge. I feel that I have vastly improved during these 2 Academies. I have learned more German these past months than all the years I have learned Spanish. Are you going to continue learning German? Yes! I have a 2-year goal to become comfortable in German. I guess this is what Lydia calls a B1 level. As a test of how much I have learned, I will try to get my certification in teaching German for the state of Florida. I saw the practice test, and it looks challenging. There is also a speaking portion. How does your learning look like between the Academies? Between Academies, I keep my schedule. This is a hobby for me so I don’t get tired of learning. I enjoy it. I have a calendar that I write down all the activities that I do every day and for how long. I still fill out this calendar during the Academy. Do you have any positive experience with learning or the language you would like to share? 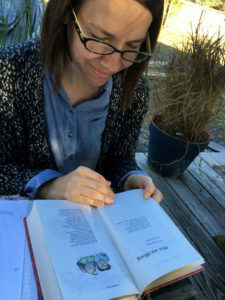 The author of this blog post is Barbara Pecková, a professional translator and member of the Language Mentoring team since 2017. Language Mentoring provides a complete guide for learning any language using simple and often free resources on the internet and in bookshops. It was founded by polyglot, language mentor and author of this website, Lýdia Machová, in 2016. She's learned 7 languages by herself and she adds another one every other year. Her philosophy is that everybody can learn a language regardless talent, age or other qualities – if they know how to do it.